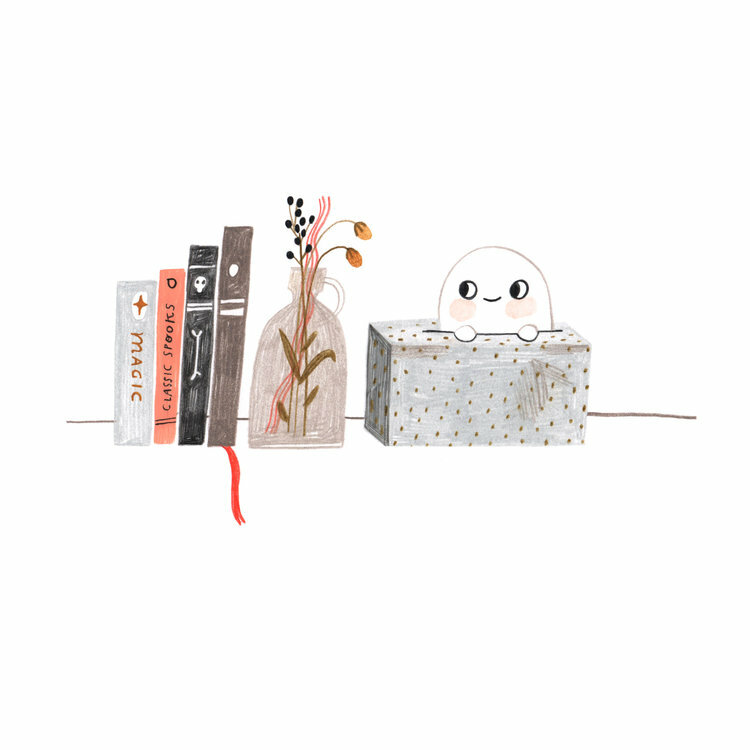 Home Uncategorized How to Make Friends with a Ghost!!!! I love Halloween. But I was not going to let the date of my post dictate the book I chose. 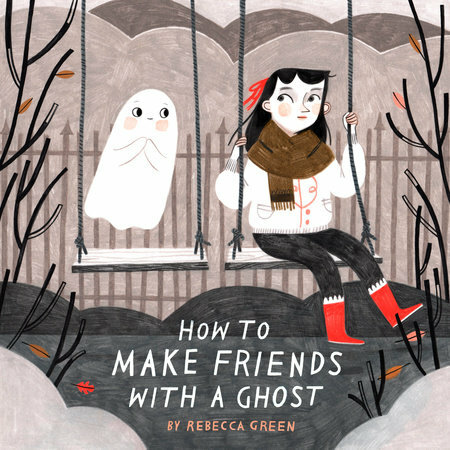 I had two others in mind when I got my hands on How To Make Friends With A Ghost, by Rebecca Green. Right away I was drawn to Rebecca’s vintage style and limited palette. Above is the jacket, and this is the surprise case underneath! “If you’ve ever been frightened by a ghost, the thought of becoming friends with one might seem awfully scary. But I assure you, ghosts are sweet creatures who need friends too. And who better to befriend them than you? We learn how to identify a ghost. How to approach a ghost. How to care for a ghost, etc. The examples are clever, unexpected, and very funny! For instance, we learn that a good place to hide your ghost is in a tissue box! But my favorite part is the unexpected turn that the book takes at the end. 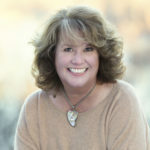 This is where the author gives the book a layer that takes it from being, ‘a cute and fun ghost story’ and creates a relatable, bigger story with real heart and meaning. The last section is “Growing Together”. We now see that the girl who befriends the ghost when she’s young, grows up, gets a job, and has “mini versions” of herself which the ghost likes. The girl is then old and still the two are friends. When the woman passes away… the two continue to be friends. This beautiful book is about the everlasting power of kindness and friendship. The older reader will connect with the moral of ‘love lasts forever’. But no matter what, this terrific pb will make every reader want to go ghost hunting! Happy Halloween! 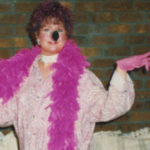 My Avatar today: Me, as a flamingo many Halloweens ago! 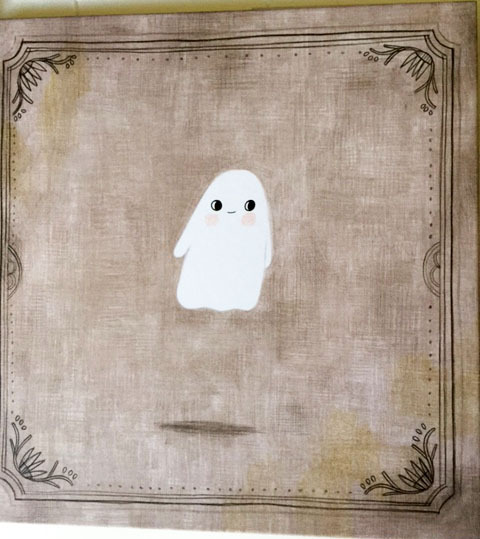 How To Make Friends With A Ghost, Jennifer Black Reinhardt, picture book, Rebecca Green, Tundra. Bookmark. I love the simplicity of the illustrations. The book sounds delightful. It’s now on my To read list. Thank you. Hope you enjoy it, Judy! And thank you for stopping by! Thank you, Jennifer. This sounds like a very sweet book about an eternal friendship. It really is lovely! Thank you Mary, for visiting and commenting today! I’ve been waiting for this from the library, Jennifer. That cover is adorable. Her art reminds me a bit of Isabelle Arsenault’s. Looking forward to it. What a cute book! Looks adorable! Thanks! Thanks for visiting, Angie! Happy Halloween! Hi Maria, I agree about her style and Isabelle Arsenault’s. There are many very witty and funny details that I hope you enjoy. Happy Halloween! Oooh, I must get my hands on this book. Sounds fantastic! It’s wonderful, Debra! Hope you enjoy it! It’s great, David! Happy Halloween!!!! I love that this book has both humor and heart. Can’t wait to read it! Hi Judy, yep, the perfect recipe! Everything about this book looks wonderful. Can’t wait to read it. Hope you enjoy it, Claire! Thanks so much for visiting today! This one is going on my to-read list! The turn you describe at the end–going from cute to layered meaning–makes it sound like a great mentor text. Great point, Buffy. She continues with the lighthearted humor, but really brings home a lovely message. Thanks for your comment! Sounds like fun, Jen. And I’m quite taken by the illustrations. I loved Casper the friendly ghost as a child so this is right up my alley! Hi, T! I think you would really like this book. I was a Casper lover, too!!!!!! Happy Halloween! Thanks for the review on this one. As I’m caring for my elderly mother, I’m wondering if it might have an audience with the elderly. I’ll have to read it to see. It’s on order! I hope you like it, Susan. 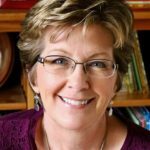 I tend to think that a good picture book resonates for all ages! I’m totally open to being friends with a ghost! Me, too, Kathy! Thanks for commenting! I agree on all counts, Jill. And I think the twist of ‘even after you’re gone’ was so clever and well executed! Adding this one to my to-read list. Thanks, Jennifer. I hope you enjoy it, LeeAnn. 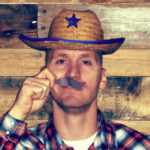 Thank you so much for visiting and commenting at PBB! Thanks for the post, Jennifer. I’ve been looking forward to checking this one out for a while. The premise of the story sounds fantastic.